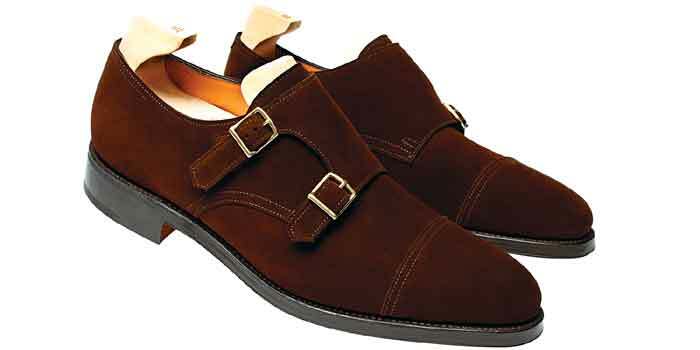 tarted in the late 19th century as a specialist bootmaker for gold miners, creating high quality leather footwear with hollow heels (to hide nuggets), John Lobb has crafted shoes for the likes of British royals, Jackie Kennedy, Louis Mountbatten, Frank Sinatra and Lawrence Olivier. The brand now teams up with Regalia Luxury to offer By Request services across the country. Thomas Collette, com-mercial director, tells us more. 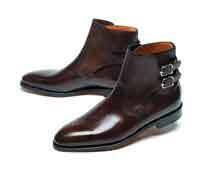 John Lobb began as a bespoke boot-maker, creating special boots for gold miners. In the early 1980s, they introduced ready-to-wear collections, that were as high on quality as its made-to-measure range. Now handmade in Northampton by skilled craftsmen, they embody timeless elegance and a meticu-lous attention to detail (190 steps to make a single pair of shoes). We are introducing the brand through our a�?By Requesta�� service. Customers can place a special order after choosing from over 150 available models. The service offers to personalise the pair from the leather, to the colour, the width and the sole. We felt that we needed to offer a dedicated service and something unique to India. 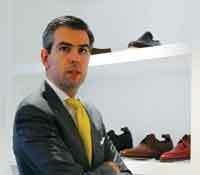 John Lobb is not at all a fashion brand so we do not follow the trends. This is all about craftsmanship, quality, comfort and timeless style. At the end, these characteristics will always be what the clients are looking for. We have a very rich offer of leath-ers which are definitely the key asset of the brand. John Lobb takes pride in using only the most excep-tional materials a�� only full-grain leathers are worthy. The surface of the skin displays the beauty of its natural grain, which must not show even the slightest flaw. Ita��s also important to pay atttention to specific thickness, perfect supple-ness and depth of tonality. Apart from the By Request service that includes every style from the ready-to-wear collection, we also craft Bespoke shoes. Here there are absolutely no limits on the materi-als used, the stitching details, the embroideries chosen, or the pre-cious metals used for the buckles. Introducing this service is obvi-ously in the pipeline but at a later stage after having first well under-stood the market. 1. Bestsellers: The William (a double-buckle shoe), the Oxfords City or the Philip lines that bring a classical and understated silhouette should work very well in India. 2. Desi inspiration: The a�?stara�� of the coming A/W season will be a very aesthetic Jodhpur ankle boot. 3. Timely advice: Dona��t try to overact while customising your pair. Just create a shoe that reflects your personality and style!